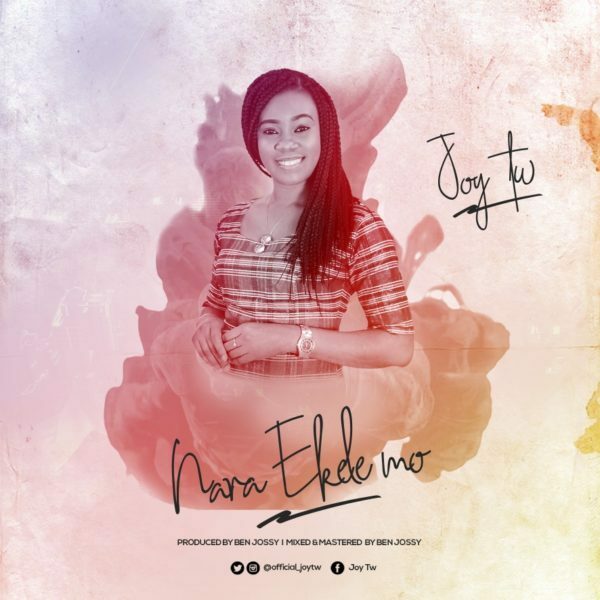 Joy Chinazam Okogbue better known as Joy Tw (True Worshipper) an anointed worship leader, a talented songwriter, gifted pianist, graduate of Mass Communication, and a Presenter/Reporter at Lagos Television (LTV) officially release her debut single titled “Nara Ekele Mo” a song birth out of Thanksgiving to God. In her words “while playing the keyboard in church one day, Nara Ekele Mo began to flow out of me and it came to being. This is my prayer for you; as it is in Psalms: 67:5-6, the earth will yield her increase as you praise God with this song”. TW, is an Abia State born Lagos based. The first of 2 children of her parents Rev. Samuel & Pst. Mrs Helen Okogbue, of Freedom and Redemption Christian Church, where she currently serves as the music director of Freedom Choir. She is a graceful, fun and jolly person. She would stop at nothing to make sure lives are touched and Souls are won for the kingdom through her ministrations.